Make a quilt that says "Spring"! This kit contains the fabric to make the top and binding of this twin-sized quilt. 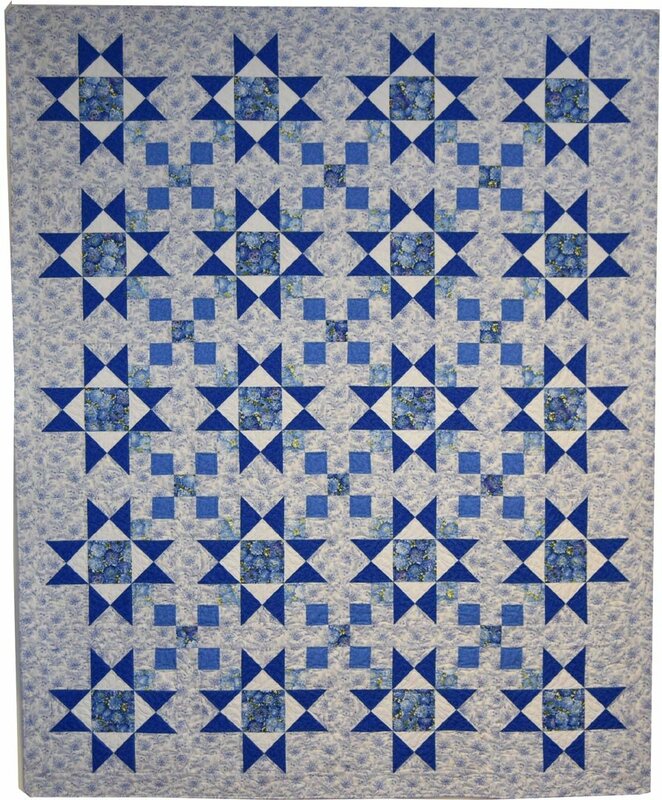 Stars and Four-Patches was a pattern used by Yankee Pride for the 2017 Vermont Shop Hop. Judy chose cheerful blues and whites to make our sample quilt, and people loved it! The kit includes our instructions, and the fabrics to make the quilt top and binding. This quilt finishes at 72" x 88", perfect for a twin-sized bed.